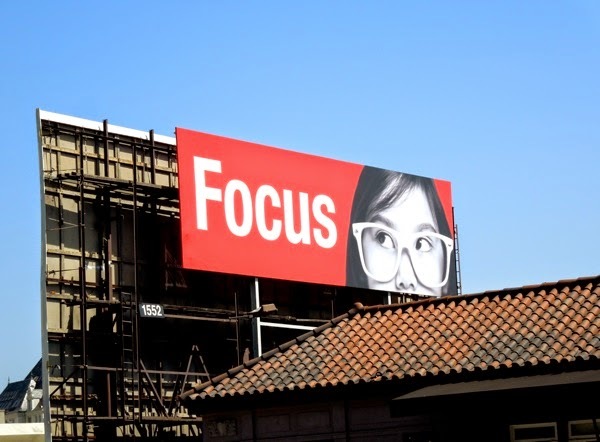 One of the downsides of having a blog called Daily Billboard is that you need enough ad creatives to share on a daily basis, unfortunately when the weather turns rainy in L.A. things can get a little tricky (although at least we don't have to worry about polar vortexes). 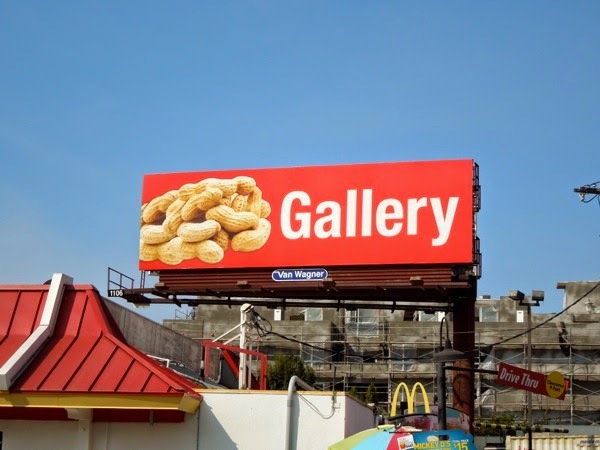 Daily Billboard imagines it's a bit like having an inventory of ad sites that you can't always fill 100% with paid advertisers and so you need a fall back plan. 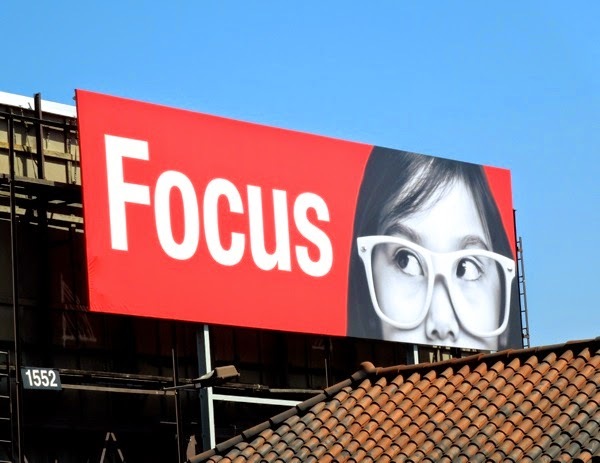 Outdoor adverting companies often use filler ads for unsold billboards to spare passersby unsightly blank canvases and to make sure their locations are compelling as possible, like with this trio of fun, eye-catching creatives for Van Wagner (before the company sold their units to CBS Outdoor in 2014, later renamed as Outfront Media, Inc.). 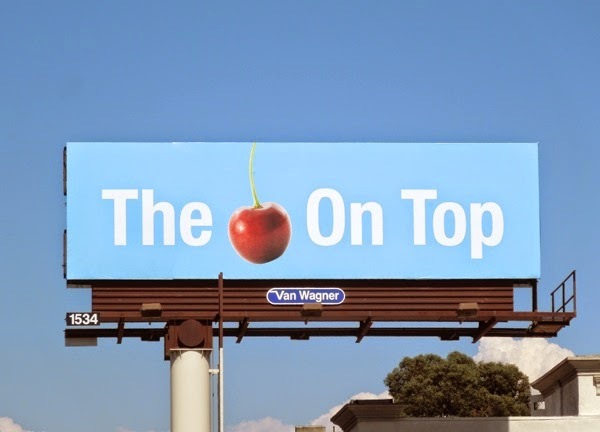 Of these examples of filler ads used 'The cherry on top' billboard was spotted above Venice Boulevard on September 7, 2013, whilst the 'Focus' billboard was snapped along the Sunset Strip on September 18, 2013, and the 'Peanut gallery' billboard was captured along Santa Monica Boulevard on July 29, 2014. 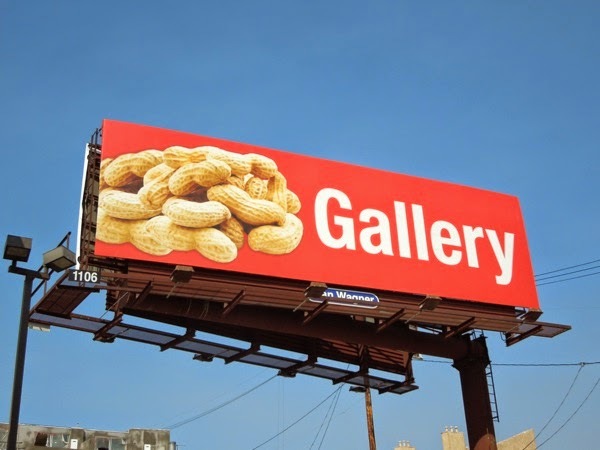 Let's hope the weather in Los Angeles improves soon, although as Daily Billboard has been cataloguing billboards filling the city skyline for the past ten years, we're sure we have a few more flashes from the past we can share if needs must.